Temperatures are expected to fall back below the seasonal average over the next few days which offered support to near-curve gas contracts yesterday. The change-over of the front month contract has also helped to lift prompt prices, as did a further decline in the Pound. Movement further along the curve was minimal as oil contracts stabilised during the session. 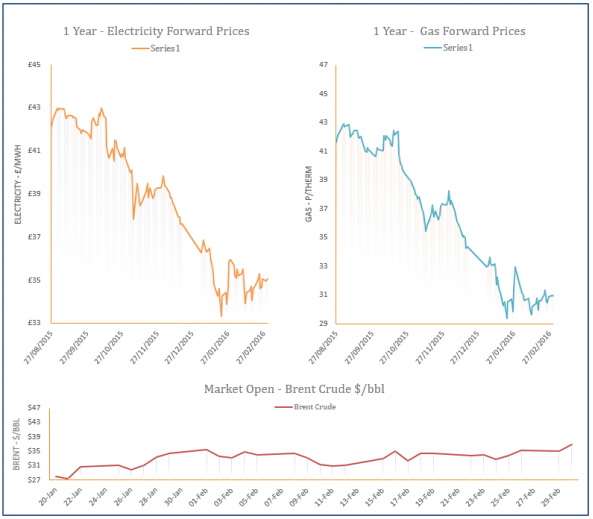 Gas contracts moved higher on Friday with support coming from a rise in oil prices, although upward movement on the prompt was slightly restricted by a weaker demand outlook for this week. Supply levels were also comfortable with numerous LNG deliveries expected to arrive in the UK which helped to curb gains on the rest of the near-curve. Stronger demand levels in the UK, as a result of cold weather offered support to gas contracts yesterday but overall movement on the near-curve was bearish due to a healthy supply picture. Numerous LNG deliveries are expected to arrive in the UK next week which has led to increased send-outs, while flows from Europe also remained high. Further along the curve contracts took direction from rising Brent and posted gains. 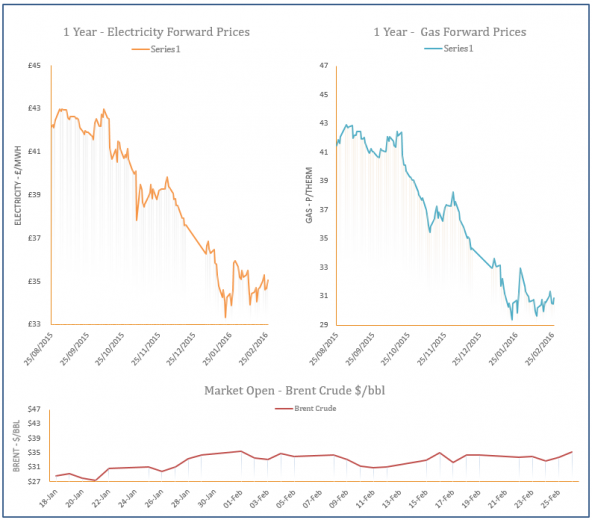 Gas demand remained high yesterday as temperatures were below average, however, the gas system was oversupplied due to improved LNG send-outs. LNG flows rose from 41mcm to 57mcm with numerous deliveries expected to dock in the UK over the next week. Norwegian and Dutch imports into the UK were also higher and this healthy supply picture helped to weigh on contracts on the near-curve, with a drop in oil weighing on far-curve prices.